New Delhi-based DJ / Producer Vipul is back to share his Deep House evolution with the world by way of a melodic single for India’s Wind Horse Records. 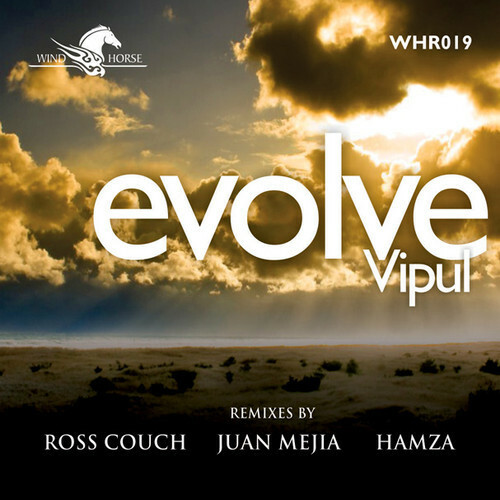 “Evolve,” a title alluding to his progress, is a journey in its own right, featuring Tribal percussive grooves, heady chords, bass with a bounce, and a xylophone melody with a South African feel. Remixes come courtesy of a trio of seasoned producers including Wind Horse’s very own Hamza, Glasgow’s Ross Couch (Body Rhythm), and Miami-based Juan Mejia (Dutchie Music, Grouper Recordings). Editor’s Sidenote: Just DIVE in and feel the pulse of the rhythm!